What these two books have in common, besides their focus on gender and Palestinians, is ‘thick’ data and sophisticated analysis. Both are historical ethnographies that combine a close-up view of women and gender in an Arab national struggle with place and time comparisons that illuminate the complex interactions between nationalism and gender. Both connect their data to broader theoretical issues. Hasso compares the experiences of women members of a single Resistance group, the Democratic Front for the Liberation of Palestine (DFLP), under two different regimes, Israeli and Jordanian, from the group's inception in 1969 to its break-up in the late 1990s; Latte Abdallah brings multiple research approaches to bear on four generations of ‘ordinary’ refugee women in two camps in Jordan, from 1948 to 2000. The DFLP has had a role in Palestinian national politics beyond its size, based on its adoption of Marxist-Leninism, its critique of the Arab states, its early backing of the ‘two-state solution’ and – not least – its ‘modernizing’ perspective on gender. 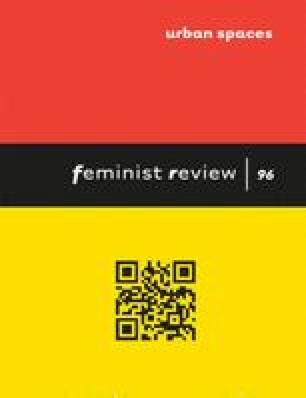 What makes the DFLP such a revealing case study where gender ideology and practice is concerned is that, unlike the other Resistance groups, it did not postpone women's liberation until after national liberation, but officially adopted it along with other modernizing aims such as ‘rationality’, socialism and an organized political strategy. This gave DFLP women a stronger profile than in other Resistance groups: the party was characterized by ‘openness to women at all levels’ (p. 41); it was the first Resistance group to appoint women to leadership positions; and in the Occupied Palestinian Territories (OPT) DFLP women members acquired sufficient power to create independent frameworks for women's action. Nonetheless, gender liberalism varied between the DFLP's centre and its regional branches, as well as between the central leadership, party rank and file, and its militia. Further, Marxist-Leninist theory that women's liberation must pass through involvement in production meant neglecting housewives, who comprised the majority of adult Palestinian women. Here lay an ideological fissure that caused tensions between male and female members, but that also gave space to DF women in the OPT to organize separately. The OPT was unique as a political environment in regard to DF women's independence and power, and one of Hasso's main purposes is to examine and explain this phenomenon, as well as their very different experience in Jordan. She traces the emergence and stages of DFLP organizing in the West Bank, its emphasis on mass mobilization rather than armed struggle, and its decision to form open, social sectoral-based organizations (e.g. women, workers, etc.). The Israeli occupation necessitated the decentralization of its local branches, and a shift in decision-making from ‘outside’ to ‘inside’. These factors created a political environment in which women could innovate. Formed in 1978 by leading DF women, the Palestinian Federation of Women's Action Committees (PFWAC) was only loosely affiliated with the DFLP. It had its own leadership and elections, and developed a programme that responded to grassroots women's needs rather than to party demands. It is to PFWAC, with which she worked on and off between 1989 and 1995, that Hasso devotes one of the key chapters of her book. The rapid growth of PFWAC was looked at askance by the branch leadership in Occupied Palestine, who accused it of ‘separatism’. Hasso suggests that they were concerned because ‘so many core women leaders (were) focusing their energies on building a women's organization … rather than building the membership of the party directly’ (p. 66). As a women-only organization, women could join it without arousing family opposition; they did not have to go through ideological training; PFWAC programming responded to local needs and demands such as income-generation projects, pre-schools, or sewing courses. Rather than challenging ‘the patriarchal order’ head-on, PFWAC ‘worked to co-opt families and communities, even as it pushed women into positions of responsibility in order to empower them and raise both nationalist and feminist consciousness’ (p. 83, emphasis added). While some feminists would argue that programmes designed especially for housewives reinforce the gendered division of labour, PFWAC members saw their work as creating a ‘politicized female collectivity’ (p. 87), and in spite of their preference for nationalist action rather than feminist theory, PFWAC members did produce one or two projects for reforming shari’a law. Ideological and political conditions diverged widely between the West Bank and Jordan, especially after ‘liberalization’ (1989), which increased Jordanian versus Palestinian tension within groups opposing the regime. Islamic mobilization against the Left was another factor differentiating Jordan from the West Bank. Hasso brilliantly traces the effects on the DF's Jordanian branch of a complex of national, regional and ideological issues that ultimately led to the major split of 1994. DF women's experience in Jordan reveals not just a more conservative society but also a more conservative DF party branch. Although DF women in Jordan often led party unions and local branches, this was viewed by male members as exceptional, and due to the imprisonment and deportation of men rather than merited through organizing ability. Women were only appointed as heads of delegations if no man was available. Because women were less at risk of imprisonment and torture than men, the kinds of punishment they suffered – harassment, the stopping of employment and travel – were not recognized or compensated. Women paid a far higher social price for being politically involved than men, with social pressure taking multiple forms – conflict with parents or husband, criticism from neighbours and being held accountable for children. To round out her research into the DFLP and gender, Hasso recorded also testimonials in Lebanon, Kuwait and Syria. Although these further underline the variety in partisan women's activism produced by state and social environment, they lack the personal perspectives that make the other chapters so rich. It would have been worthwhile to delve further into DF women's experiences in Lebanon since, as a region, it combined a more liberal social environment with greater closeness to the DFLP central command than the other two fields. Although not organized separately, DF women here have produced a tradition of social and political activism. Abdallah's Introduction lays out the questions that guided her study. Why and how did Palestinian refugee women in camps acquire an image of fixity and conservatism after 1948? What institutions created this image, and who benefited from it? Did women themselves take part in producing it, and do their real-life choices belie the image? Questioning the relation of images to ‘reality’ takes Abdallah's analysis beyond the camps to the Jordanian and Palestinian women's movements, and to the regime itself. Invoking Jacques Rancière, she asks whether small changes at the micro level (‘petits déplacements’) can lead to structural change, and whether research itself can contribute to the undermining of hierarchies. The study interweaves multiple data sources: official documents; conversations with UNRWA and NGO personnel; family interviews with both women and men in two contrasting camps, Jabal Hussein and Jerash; individual interviews with women in the same two camps; and a close-up portrait of a single family in Jabal Hussein camp spanning four generations. Marriage and family dynamics offer this mass of data and analysis a coherent nexus. Abdallah prefaces her study with a discussion of the pre-1948 Palestinian concept of male, female and collective honour that provides a basic explanatory reference. With the loss of national representation after the Nakbah, refugee families became the main vehicles of national identity. Trans-generational identity and reputation linked them to homes in Palestine, and made them transmitters of rules of gender and sexuality. For Palestinians, as for most Arabs, ‘the body of women is a place where family identity can be put in danger, and beyond it that of the community and national group’ (p. 35). Most – though not all – of the women Abdallah questioned about female honour, identified it with values such as dignity, blood, the land, trustworthiness and, more pragmatically, as essential to the marriage of daughters (p. 36). Through honour, men are contracted to provide for and protect their families. When men can no longer fulfil their side of the contract, the idea of masculine protection is weakened. The history of the refugees in Jordan has been one of radical change that Abdallah follows in detail. The study is also valuable in what it tells about Palestinian and Jordanian women's movements – Royal, progressive and Islamic. From 1989 the Jordanian Women's Union became active in the field of human rights and family practices in the camps, undertaking ‘pioneer programmes’ of intervention in family conflicts. On the basis of her survey data, Abdallah observes a high rate of ‘feminization’ of families in camps (33.3 per cent of households in Jabal Hussein have women heads, 37 per cent of Jerash households). High rates of widowhood, divorce and separation, as well as the out-migration of better-off households, are causal factors. The costs to women of marginally greater independence are poverty and waged labour outside the home. But in these conditions women's support networks grow, since general poverty weakens the capacity of the extended family to offer help. UNRWA's special hardship assistance and professional formation programmes have provided a minimal economic basis for this shift away from the ‘traditional’ family, a shift that is also reflected in the refusal of young divorced or widowed women to re-marry. Higher education and access to employment have affected refugee women in complex ways that are not necessarily positive. Rising educational provisions for women bring individual aspirations that family and community may block; male unemployment may force women into low-paid jobs that do not enhance their status; social change tends to increase conflict within and between families; as men's role of providing for the family is weakened they become more sensitive to loss of honour, more prone to violence. The conventional development narrative of improvement through education and employment is questioned here. Yet, paradoxically, and despite daily hardships and occasional tragedies, women's resourcefulness in dealing with their situation emerge clearly in this study. On the basis of these multiple data sources, Abdallah suggests that Palestinian refugee women are practising a ‘popular feminism’ that they have created outside any women's movement, a feminism without slogans, concealed rather than revealed by women's discourse. ‘Popular feminism’ takes three main forms: (i) rejection of marriage, and of re-marriage after divorce or widowing; (ii) insistence on bringing up children without kin interference; and (iii) the formation of women's support networks. This proposal provokes important questions: Can ‘popular feminism’ outlast the conditions that have given rise to it? How can it be developed and deepened? Abdallah's study is valuable precisely because it moves beyond the idea that ‘progress’ for Arab and Muslim women can only be achieved through organized women's movements and legal reform.